Fride got ready with her best friend in Hair salon Heidi in Torrevieja. The champagne was flowing and they where excited to start this special day. Fride and Alf Rune fell in love at work some years ago. They are tying the knot today at Torre del Moro. The priest of the Norwegian church, Sjomannskirken in Torrevieja conducted their ceremony for them at Torre del Moro. It was very special and there was a big surprise for Fride because Alf Rune sang ‘ you are so beautiful ‘ from Joe Cocker for her. 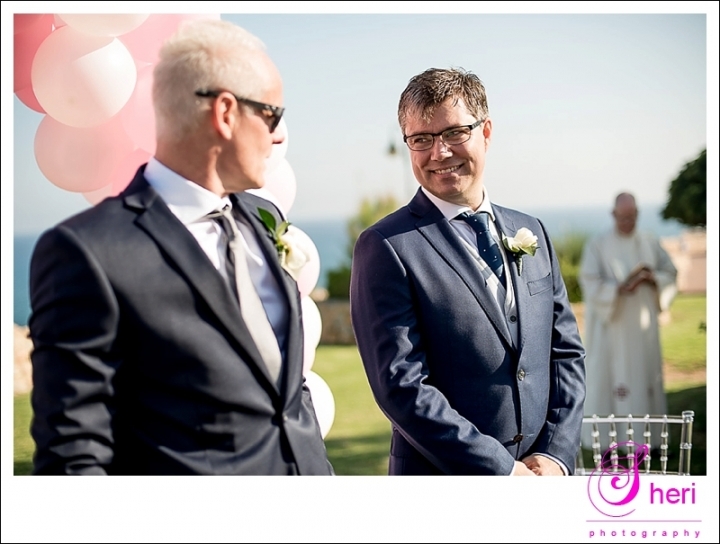 After the ceremony, I took the group shots and family photos at Torre del Moro. The rest of the Bride and groom shots I took at a local park and oh my, the timing was perfect. Golden hour as they call it, the light was amazing and it shows in the pictures. Fride and Alf Rune, I am sure I will see you again maybe see you at your family shoot in the future.